The travel bug got us again, and this time we thought we'd take a private driver from our town of Panajachel, Lake Atitlan, Guatemala, to the Mexico border. Our driver, Moises, took the route you see below marked in red through Guatemala, to Tecun Uman where he dropped us off. 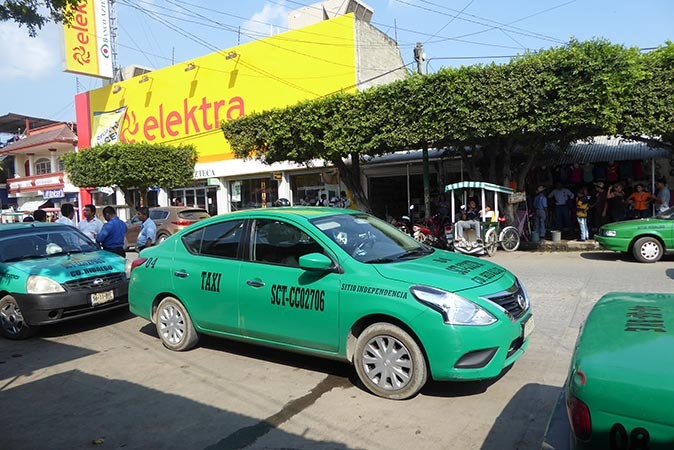 After receiving our stamps out of Guatemala and into Mexico, we hired another cab to take us on to Tapachula. Here you see us leaving Lake Atitlan, going through Los Encuentros, then to Quetzaltenango and on to the border town of Tecun Uman (not marked on this map) but is the town in Guatemala that touches Ciudad Hildalgo across the border in Mexico. We could have done this trip via chicken buses (which would have involved several bus changes) or perhaps a private 15 seater van with other tourists, but we preferred to hire our own trusty driver. We paid him 970Quetzales (about $128USD) for the 4+ hour drive. We easily made our way up the mountain from Lake Atitlan through the neighboring city of Solola and then onto the Pan American Highway heading to Xela (Quetzaltenango). Then unexpectedly, traffic was stopped - completely stopped. We debated among us what the issue might be as traffic was flowing in the other direction. We waited some more, until Billy decided to go out on the street to find out what the hold up was. A tractor trailer carrying bags of cement tipped and there was cement and broken bags everywhere. See all the cement dust swirling through the air? There was a tow truck hitched to the tractor and many workers cleaning the street so progress was being made. After a total wait of about 40 minutes, we were once again moving along the road. 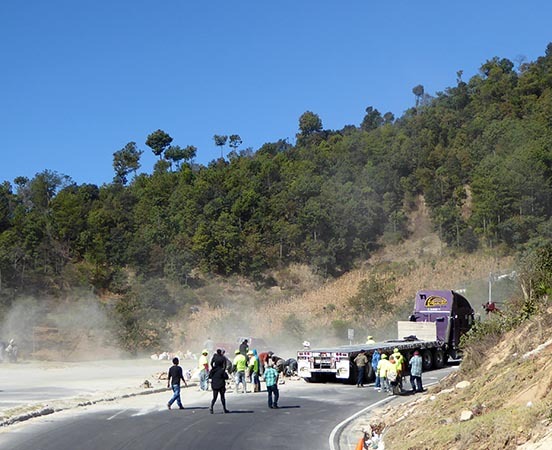 Workers were stuffing broken cement bags into wheel barrows and onto the backs of small pick up trucks to get the load off the road so traffic could pass. There was a lot of this fine dust blowing around in the air as you can see from these photos. We closed our windows when the wind kicked up so our vehicle wasn't inundated with this powder. It seemed unusual to have this hold up to our travel plans. 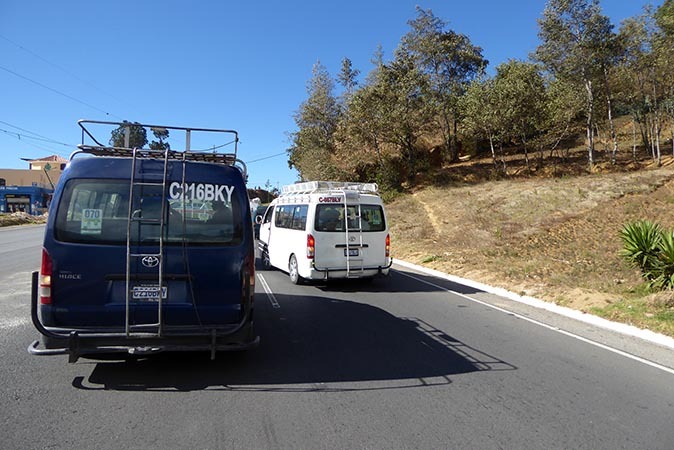 But before too long, we were back on the road, winding our way to Xela. We have utilized Moises' services many times to take us to the airport in Guatemala City, or to have medical procedures done in the capitol city. He is very dependable, always shows up and doesn't take unnecessary chances on the road. 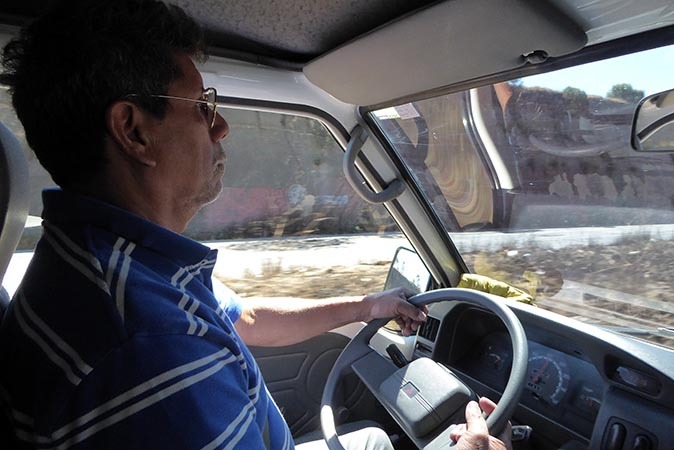 For medical services in the capitol, Moises will drive us to the medical facility, wait for us while services are performed, then drive us back to Panajachel. this usually takes about 10 hours to and from. Getting out of our van we are swarmed by peddle cab drivers who want our business. We must get stamped out of Guatemala in one location and then go to another location about a kilometer away to get stamped in to Mexico. These drivers will take you and your luggage from place to place, get you checked out of one country and into another. Bags must be unzipped and personally scanned by border agents. As you can see, it's a bit of a distance, and having a peddle cab take you from place to place is a blessing. 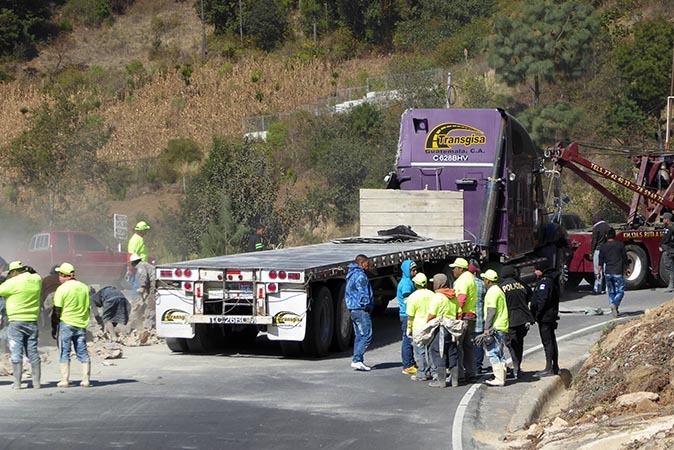 Here you see another peddle cab taking a load of firewood from Mexico to Guatemala. 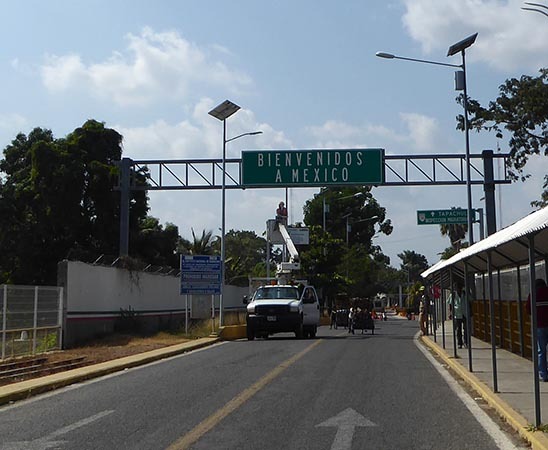 Coincidentally, this border crossing is the main border point between Guatemala and Mexico, and it is a porous border. Circulation across the Suchiate River is practically free and open, but there is tighter security on the highways and roads further into Mexico. Still, Illegal immigration remains high since it is the gateway to North America for Salvadorans, Hondurans, Nicaraguans and other Central Americans. We are nearing the immigration office on the inside border of Mexico here. Our peddle cab drivers will take us to the building to get stamped into Mexico and then to the officers who will search our bags. 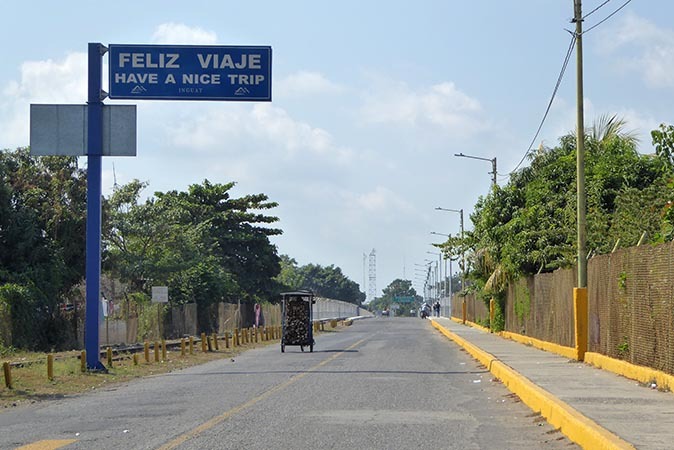 From here the drivers will take us to the taxi stand in Hidalgo where we will commission another taxi to take us on into Tapachula, a city of over 300,000 and which has an airport. 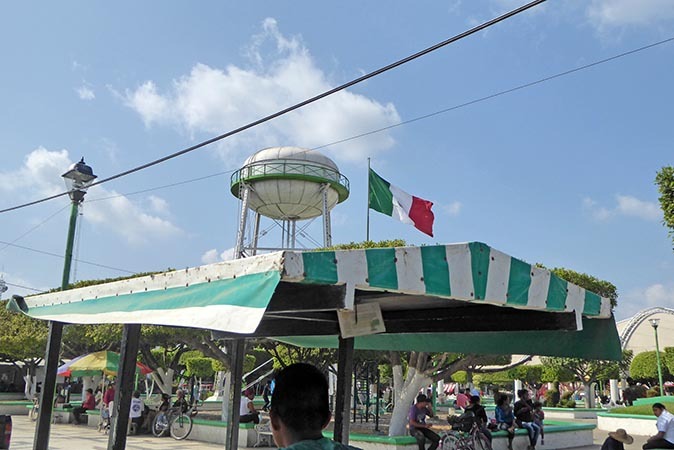 After a day or so, we'll fly from Tapachula into the Capitol of Mexico, Mexico City. All stamped out of Guatemala and into Mexico, we ride in our peddlecabs through the small town of Hidalgo to the taxi stands. It was here in Hidalgo that we hit our second (and third) glitch of the travel day. Our peddle cab drivers quoted us one price for their services, only to tell us another price when they dropped us off. It was double the price quoted to us in the beginning! Back and forth we went for some very uncomfortable minutes until finally, holding our ground, the peddle cab drivers realized they could not pull one over on us and left. Speaking to the taxi drivers, they tell us that the highway is blocked due to protestors angry about the price of gasoline. The Mexican government has decided to allow the price to float and have the markets decide what the cost will be. Previously, gasoline had been subsidized by the government and had remained stable and low for quite some time. Taxi drivers said they couldn't get through the blockades and perhaps we would want to stay the night in a local hotel? have a meal? continue to wait? Four hours later the drivers all decide they can get through the highway now and everyone who was waiting jumped into respective taxis. 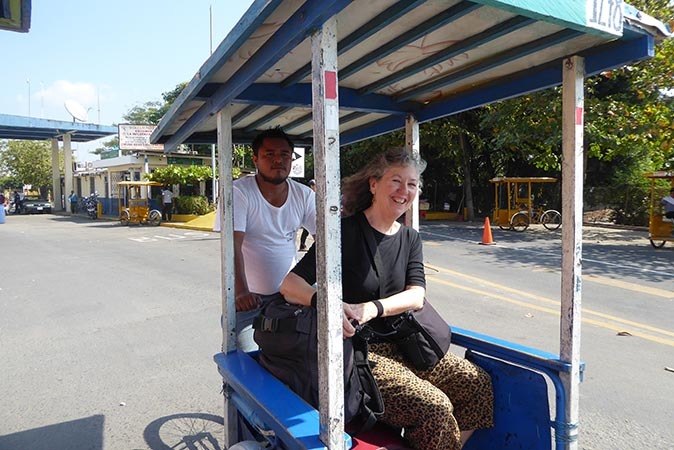 Earlier we asked a local what the cost was for a ride to Tapachula and we were told 50Pesos. This taxi driver told us 400Pesos to get us to Tapachula... We had to decide to take that price or spend the same amount of money in town at a hotel (with no hot water) and a restaurant and then take our chances the following morning that the drivers were moving. So we simply decided to continue forward instead of spending more time here. As we rode the highway, we noticed that there was no backed up traffic, no trash from protestors, no signs claiming their protests. In fact there was no indication that there had been a protest at all! We think the taxi drivers were just on strike for the day to make a point. Who knows? We arrived in Tapachula at 7:30pm, instead of the 2 or 3 pm we had planned, got ourselves a room and nestled in for the night.